First we would like to wish our Ethiopian friends around the world Happy New Year. I can’t believe that another year has passed. Tezeta Band has had an action packed summer. We have met a lot of great friends along the way and we look forward to a very exciting Fall Season. But first here are a few highlights of Summer 2011. In July we were rained out of our first Portland Parks and Rec show at McCoy Park. But even torrential record breaking rain could not keep us down. Yonnas and our good friends at Sengatera gave us a dry place to play our music and we even got to have Birthday cake with our own Tezeta Band family member Lucella Prewitt. Sengatera saves the day. We eventually played the show in August and we couldn’t have had nicer weather to do it. Thanks Portland Parks & Rec, let’s do it again next Summer. Also in July we made our first trip to Bellingham, WA to play with Yogoman Burning Band at the Boundary Bay Brewery.YBB were great hosts to us and the Boundary Bay is an excellent venue. If you have a chance check out YBB before they go on hiatus. Still one of the best bands out there. If you need any proof buy their CD. We also played a couple of slammin’ parties and events. Aiyana was gracious enough to let 7 strangers make a bunch of racket in her back yard for her birthday and Benno & Vanessa showed us how weddings should be done. It was great playing for you all. We had a blast. Finally we ended our summer at The Voodoo Room in Astoria. It was our bassist John Teagle’s return to his old stomping grounds. We got some local press at the Daily Astorian and radio at KMUN. It all turned into a good show and we definitely will be back again. Next up a little of what is ahead for the next couple of months. On Saturday October 15th Tezeta Band (formerly Five Fingers of Funk) plays with Toque Libre (formerly Rubberneck) and guest DJ Lord Smithingham. Back in the day this line-up would have been the baddest thing you ever could have walked into and guess what…It still is! We have also employed the talents of one of our favorite local DJs Lord Smithingham, who will be spinning some of the finest Jazz, Funk and Soul throughout the night. The last time we played The Woods it sold out early, so get your tickets in advance at www.thewoodsportland.com . It will be a night to remember. Thank you to Central City Concern, North, Dave’s Killer Bread, and KGW (Tezeta Band live on Channel 8 from the CCC benefit)! A special Tezeta Band thank you goes out to all the folks who worked so hard to raise money for Central City Concern. Thank you to the Central City Concern volunteers. Thank you to the staff at North for hosting the event in their beautiful workplace (loved the boombox collection, the drum set, the floating conference room, and all the smiling faces). Thank you to Dave’s Killer Bread for helping sponsor the event. Dave’s speech, story, and his bread are all truly inspirational. Thank you to KGW for the live television spots of the event and the Tezeta Band. What a great night! Tezeta Band is excited to support Community Volunteer Corp’s benefit show with live Ethiopian inspired music this Thursday, May 26th at NORTH, at 5 p.m. Tickets can be purchased on-line here. The silent auction has hot items – golf packages, a vacation rental on Mt. Hood, beach weekends, a RV rental, Timbers tickets and a whole lot more to make your summer complete. Not to mention Tezeta Band, Dave Dahl of Dave’s Killer Bread and good times for a good cause. Here comes February and I am not sure how we are going to be able to top last month. We started January with an appearance with Mahmoud Ahmed and ended it with a crazy sold out packed to the rafters show at The Woods. You will have to forgive us this month as we will be catching our breath a bit. A big thanks goes out to Robert Ham, a writer who created an article on Tezeta Band in Willamette Week. If you missed it you can follow the link HERE. It is a good depiction Tezeta Band and they even used our picture. In case you missed it we had our radio debut on KMHD Thursday February 3rd at 8:50 during Mornings on Macadam hosted byDJ Derek Smith. He played Hametegnaw from our EP and gave us a shout out as well. It was nice to hear out music played along side such greats as Mingus, Art Blakey and Mccoy Tyner. So support KMHD and especially listen to the show on Thursdays 6-10 AM for some of the choicest music that you will hear all week. And while you are at it feel free to request our music once and awhile. This Thursday February 10th we will be starting up our monthly Sengatera Sessions once again. As always we will play a more casual and spaced out set starting at 9 PM-11PM. We hope that you can make it. We do these on the second Thursday of every month. 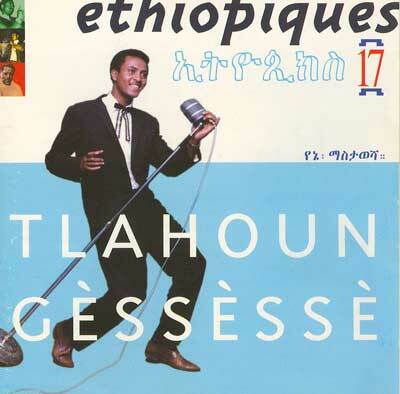 Finally, I recently came across an interview with Francis Felceto, the creator of the Ethiopiques CD series that reads as a history lesson to the music we play. The original inspiration for Tezeta Band came from the discovery of Mr Felceto’s CD series and if you ever wondered why or how we got into this style of music just pick up any volume of the series at your local music store and give it a listen. So follow this link and learn a few things about where this music comes from HERE it is definitely worth your time. That’s it for now. Thanks for supporting your local Ethiopian Cover Band and we will see you at Sengatera. A heart felt thank you to everyone who came out to hear the Ethiopian soul and funk music of Tezeta Band at The Woods this last Saturday night. For those who could not squeeze in and those who did, we will be announcing our next Sengatera Session soon. First off thank you to Mississippi Pizza and Suzette for letting us blow some noise in Jacqueline their restaurants last month. We are gradually getting the word out about Tezeta band and if you have any other suggestions for places that Tezeta Band should play, go ahead and drop us a line at booking@tezetaband.com. We Announcing would love to hear your ideas and thoughts. Well it is officially Fall, and we are back to recording again. We hope to lay down enough decent tracks to have something for the masses in 2011. Until then, we would love wholesale jerseys to see even more turnout at our Sengatera cheap NFL jerseys Sessions monthly concert. September’s session was incredible and after a summer of playing short sets at large clubs, it was great to stretch out and play cheap jerseys things in a Fue!¨ more intimate setting surrounded by friends. The food and beer were outstanding and Yonnas is a warm and hospitable host who runs wholesale jerseys one of the best establishments in town. So we will be continuing our wholesale jerseys Sengatera Sessions this month on Thursday, October 14th. In case you need better directions to the restaurant here is the address. *Located on Failing and MLK across the as street from African Rhythm Traders. Please drop by and say hello. We would love to see you there. We will be continuing these on the second Thursday of every month.